Properties in Greytown average 4.6 out of 5 stars. 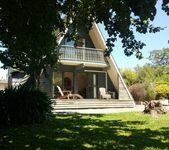 Property 13: A-frame 5 minutes from the centre of Greytown - Country Village Heaven. Chris's Cabin | Private Garden, Large Deck | Sleeps 7. Property 19: Chris's Cabin | Private Garden, Large Deck | Sleeps 7. Lovely cosy &quot;A&quot; frame house, well appointed, great showers, comfy beds and loads of books and games. 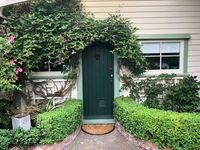 Fab for a weekend away in Greytown.